We all need to sharpen our salesmanship skills to not only keep pace in the market but to win the battle amongst our competition salespersons. In January, I wrote a blog entitled “Is Selling Just Marketing or Is Marketing Selling?” After reading the blog and (hopefully) evaluating your own sales process, did you make any adjustments to your personal salesmanship activities? Have you evaluated the proportion of sales versus marketing activities that make up your day? Marketing is the function of creating the idea and sales is how we are going to share the ideas with our customers and potential customers. A good idea and a good marketing plan are the cornerstones of a good sales plan. Being creative and brainstorming how you will incorporate the plan into your sales activities is extremely valuable. Salesmanship is the variable. We can come up with great ideas and collateral, flyers and social posts until we are blue in the face, but until we incorporate them into our actual sales activities and tell people about our ideas in face-to-face conversations, we can’t be sure that our customers are getting the message. “If you build it, they will come” – or will they? 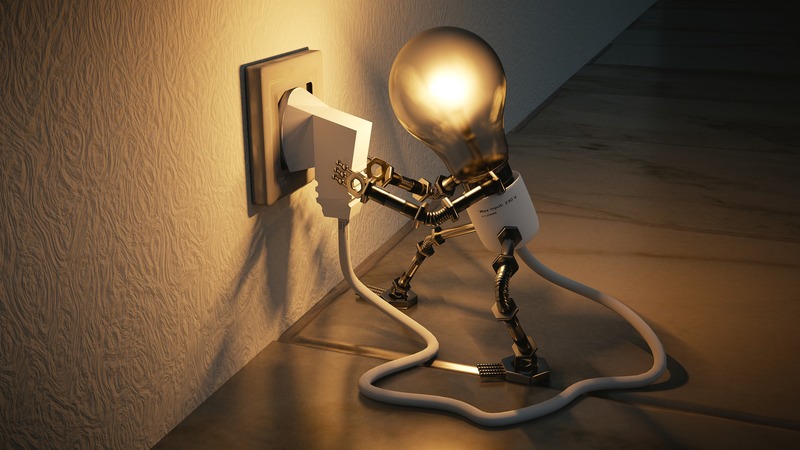 Think of marketing as the lightbulb and salesmanship as the action of plugging in the light! In the classic movie “Field of Dreams”, Ray is caught in the middle of a good marketing idea and putting that idea into action! Does he build it and if he does, will they come? Marketing is the lightbulb and salesmanship is the electricity needed to make the idea “bright”. So where do ideas come from and how can we create the spark that ignites the sales process? Oftentimes I will rely on the seasons, holidays, local events, things in the media or brand advertising campaigns to get the creative juices flowing. Other times I’ll read an article that generates an idea. And, further – sometimes I’ll see an ad or commercial that will kick-start another idea. Pay attention to your surroundings, brainstorm with your co-workers and colleagues, see what is working for your brand and play-off their campaigns… have some fun! How do you do it? 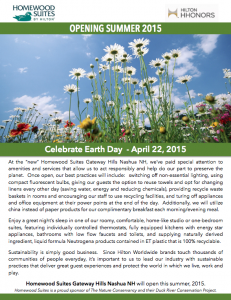 Let’s consider Earth Day (April 22nd). 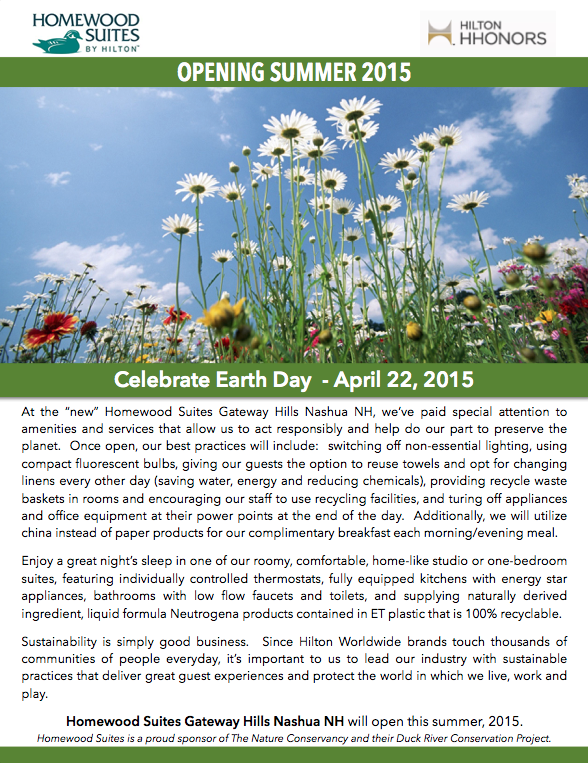 How can you incorporate this day into marketing and sales for your hotel? If you read the linked website information, you will see that in 2018, the Earth Day Organization is focused on educating people about the dangers of plastic pollution. How can you create a marketing idea to sell hotel rooms and groups based on this premise? 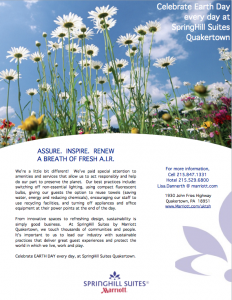 How about touting what your hotel does to make the Earth a better place? Do you recycle? How about a linen reuse program? Tell the customers and give them a reason to consider your product! Marketing flyer developed during pre-opening for the Homewood Suites Gateway Hills. We didn’t sell anything. We created awareness. 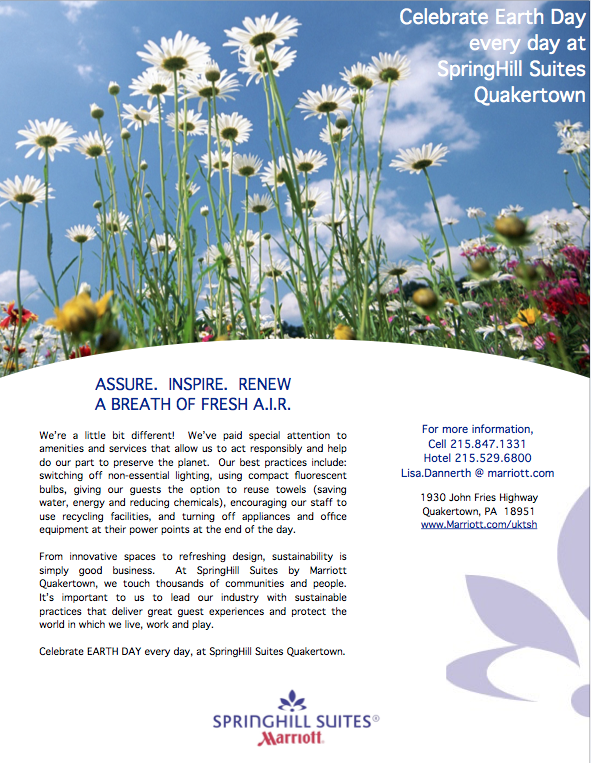 Earth Day is everyday flyer created for use in sales kits for the SpringHill Suites Quakertown. We didn’t give away or discount our product… we talked about the reasons why it makes good sense to book at our hotel! The biggest misconception is that you have to discount your marketing program to create a sale. I say NO! It is about marketing what you do right and selling it to the right audience for the right price. Tell customers what you do well and why they should choose you over the competition. “If you create a marketing flyer, will they come?” Of course not. We need to use this marketing flyer as we sell our product. My challenge to you this month is to identify how to draw the line between all-marketing or all-sales. Find the balance and walk the line, dipping into one side or the other as needed. ← Trends: Jump on the Bandwagon or Jump off the Cliff?